County courtrooms are no strangers to contract disputes between local hospitals and insurers. Lately, though, they've had some big cases dropped in their laps as hospitals owned by HCA Healthcare, Sentara Healthcare and Piedmont Healthcare take health insurance giant Anthem to court over its new policies that restrict outpatient imaging and emergency department reimbursement. Typically, state courts hear arguments pertaining to relatively minor contract disputes, such as coverage of one particular drug, for example, said David Honig, an attorney with the healthcare law firm Hall Render. These cases, by contrast, are much larger in scope. "These are not little things. These aren't, 'We're no longer going to cover this medication.' It's more like, 'We're no longer going to cover medication,' " he said, adding that imaging and ED claims are "giant chunks" of a hospital's revenue. The hospitals argue their contracts with Anthem, through its Blue Cross and Blue Shield affiliates, require all parties to agree to such material changes to the policies. They also say the imaging policy isn't really about medical necessity, as Anthem has said, because the insurer allegedly granted exemptions for hospitals that agreed to accept lower rates. The Anthem spokeswoman said the company does not comment on pending litigation. Hospital plaintiffs and their attorneys also declined interviews. Among the plaintiffs is LewisGale Medical Center, a 506-bed HCA hospital in Salem, Va., which sued Anthem over its imaging policy last month. Eleven of Norfolk, Va.-based Sentara's hospitals are resolving their legal dispute over Anthem's imaging policy out of court after both parties were granted a stay earlier this month that requires them to report back in 30 days. Six Piedmont hospitals filed a complaint in February over Anthem's imaging and ED policies. A judge filed a dismissal April 19. Northeast Georgia Health System and Northeast Georgia Physicians Group sued over the imaging policy in October and are currently arbitrating the case out of court. Northeast Georgia wrote in a revised complaint that Anthem announced exceptions to its imaging policy because of the providers' original complaint. There is no publicly available repository that lists all of the cases Anthem faces in each state, so it's possible additional lawsuits are in the works. Some legal experts say the hospitals are standing on solid ground, while others argue Anthem's policies are an important opening salvo to changing healthcare's traditional business model. Mark DeBofsky, an attorney with the Chicago-based employment benefits and disability firm DeBofsky, Sherman & Casciari, thinks the hospitals "absolutely" have a case. After all, they made agreements with Anthem to accept a specific payment level for imaging tests with the understanding that they would have a steady source of patients coming to the hospital, he said. "You can't rewrite a contract in the middle of the contract period," DeBofsky said. But Honing added the caveat that contracts often allow flexibility over the course of their lifespan, a subject that can get murky. "How much can you amend your policy or procedure before it stops being within the confines of the contract?" he said. "That's kind of like saying, 'When does black become white and where is the gray in between?' "
Either way, the underlying issue is the fact that the same services cost more when delivered in inpatient settings than in outpatient settings, healthcare consultant Rita Numerof said. Anthem's cost-shifting strategy aligns with the migration of many healthcare services over the years to cheaper outpatient settings, she said. In every instance, hospitals have resisted the cuts to their revenue, she added. That's what happened when doctors years ago began performing cataract surgeries in outpatient offices, for example, Numerof said. "I understand that," she said. "It's about competition. And it's important for them to think differently about the business model and how they remain relevant and the kinds of services that consumers need and what payers legitimately should be paying for. How can they reinvent themselves to be able to deliver that?" 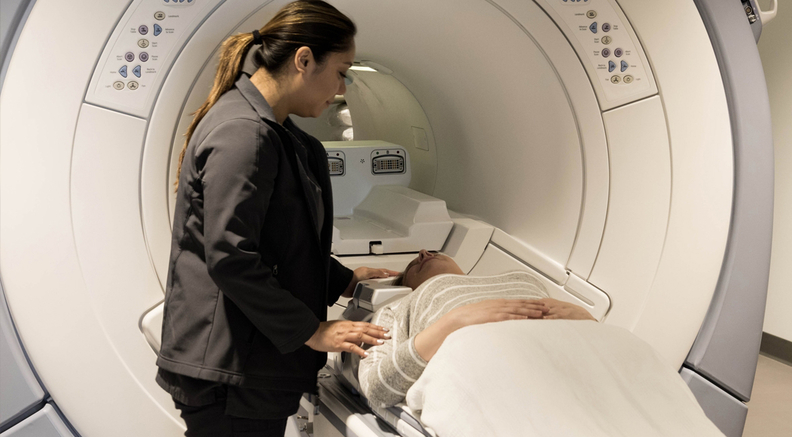 In their complaints, hospitals argue that the imaging policy takes away physicians' ability to use their clinical judgment to determine medical necessity, and instead makes it about the site of service. To underscore this issue of cost savings, the hospitals allege Anthem is implementing its imaging policy inconsistently and exempting hospitals if they agree to accept lower rates. That amounts to, as Sentara's complaint puts it, "using the threat of the Imaging Amendment to strong-arm providers into accepting lower rates." Dr. Christopher Stanley, a director with consulting firm Navigant who served for years as chief medical officer for UnitedHealthcare of Colorado, said cost consideration is indeed part of health insurers' definitions of medical necessity. From the payer standpoint, services covered under hospital-based contracts tend to cost two to three times more than the same ones performed at free-standing clinics, he said. "Many health plans have incorporated in their definition of medical necessity to also say that if the same service can be provided at a lower cost, it's not medically necessary to have the procedure done at a higher-cost location," he said. "So they include concept of affordability." Ultimately, the complaints argue that Anthem's policies will not only harm hospitals financially, they may harm patients by potentially causing them to delay or forgo necessary care. Sentara's lawsuit accuses Anthem of, among other things, breaking a Virginia law governing ethics and fairness in managed-care plans. LewisGale's complaint says Anthem violated a state law requiring insurers' provider directories to clearly distinguish between in-network and out-of-network providers, as it "effectively renders LewisGale out of network, thereby breaching the provider directory requirements." Piedmont and Northeast Georgia accuse the insurer of breaking a Georgia law that requires insurers to notify the state's insurance commissioner before making certain contract changes and of false advertising by listing their facilities as in-network. Piedmont cites additional violations, including an emergency services coverage requirement. The same law firm, King & Spalding, is behind all of the lawsuits except for Sentara's. They all seek to suspend the policies. Hospitals in Missouri have vocally opposed Anthem's new policies, but Dave Dillon, a spokesman for the Missouri Hospital Association, said he's not aware of any lawsuits in the state. Instead, he said his organization and others are focusing their efforts on the state Legislature, where lawmakers are debating bills that would soften the blow to hospitals. One such measure would put guidelines on Anthem's reviews of ED claims, such as requiring emergency physicians be involved, he said. "I think in light of that, we haven't seen a lot of legal activity here," Dillon said. Part of the reason Anthem's policies in particular are making such a splash is because they're targeting providers themselves. Other carriers have focused on "educating" patients about less-expensive options, a tactic that doesn't get as much attention, Navigant's Stanley said. UnitedHealthcare, for example, charges higher co-pays for MRI scans performed at hospitals compared with outpatient facilities, he said. "We didn't prevent, deny that type of care, but we saw a huge shift in utilization patterns to where people started using the free-standing facilities a lot more," Stanley said.